The ‘Master-Kraft Advanced’ strength line offers a more affordable range of heavy duty body weight, free weight and selectorize machines suited to clients that require full commercial rated equipment on a budget. Designed for users of all levels, these single and dual-station machines are easy to use, require minimal space and feature materials and components of very high quality and durability. The ‘Master-Kraft Advanced’ range represents the absolute best value full commercial rated strength pieces available on the market today. Commercial Rating: (LIGHT, SEMI, COMMERCIAL) FULL. Extreme durability – Heavy duty 11 gauge (2.75 mm) 50 x 100 mm steel. Smooth, fluid movement – Expert bio-mechanics ensure controlled, natural movement, providing exceptional performance for all users. Instruction made easy – Placards provide simple step-by-step exercise instructions and training tips to help users get the most out of their workout. Multiple position, over-sized grips for variety and comfort. Optimal designed seat, back pads and arm handles ensuring best position for stability and muscle engagement. Counterbalanced movement arms to ensure proper motion path and provide light starting weight. Water bottle & accessories holder – Top cap secures the front and back shrouds and includes an accessories shelf and 4 inch (102 mm) diameter water bottle holder. Buy Master-Kraft Chest Press online. 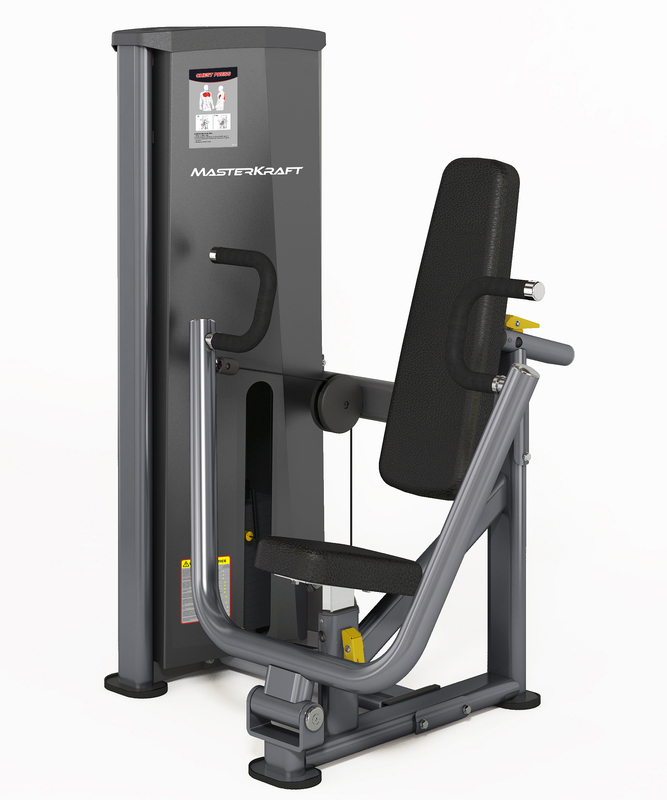 If you are interested in the Master-Kraft Chest Press for sale, feel free to enquire above.